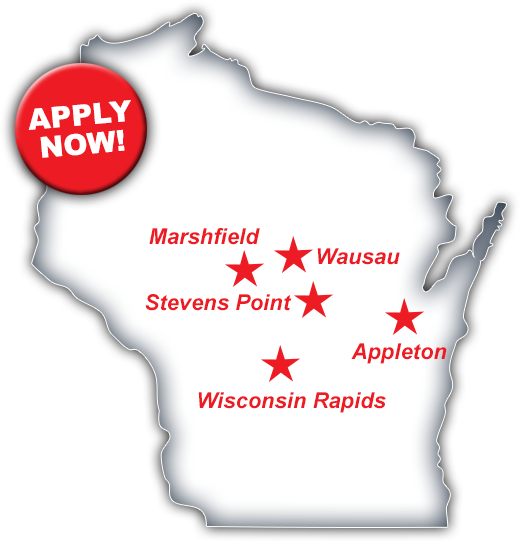 We are Wisconsin's Workforce Solution. We are the platform for employees and employers to connect. We build relationships with our employees to help support and guide their career choices. Through our network of clients, we have access to a wide variety of industries, career paths and schedules. The diversity of employees and clients grants us the ability to successfully match employees to companies fueling their workforce! We work with your team to source employees that are the right fit for your needs. Whether you have a rush order and just need manpower to get ahead of it; you are looking to fill a pivotal role in your organization, or your needs are somewhere in between. We can help support your vision. Our talented network will build a custom plan to support your hiring needs. We excel in sourcing employees within the light industrial, manufacturing, clerical and general Labor markets. In addition to sourcing candidates, we can incorporate most orientation, training and compliance paperwork required by your company. Our service offerings include short-term, long-term, temp-to-hire, direct hire and payroll placements. We are here to help fuel your workforce! © Copyright 2019. Badger State Staffing. ALL RIGHTS RESERVED.